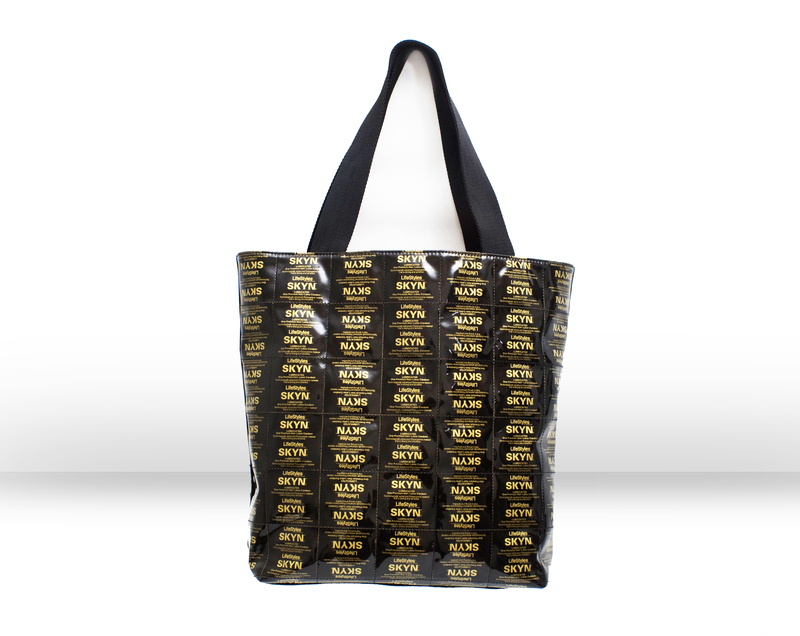 Kervick has teamed up with Lifestyles Condoms to launch a new campaigned called “I’m Covered.” She has created a new line of vinyl handbags made to look like SKYN condom wrappers. 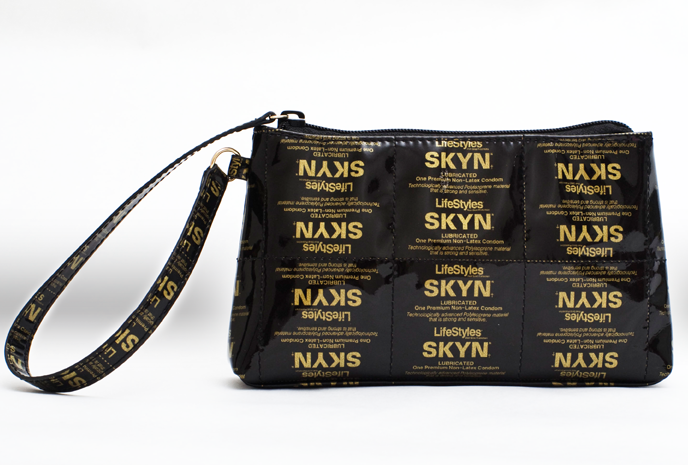 Crafted out of a synthetic material, the bags come in the Living in SKYN tote size, the Dirty Little SKYN cosmetic size, and the I’m A Slave for SKYN wristlet size. Each bag includes an informational pamphlet as well as a box of condoms in order to educate women how to properly use them. Check out the pictures below to see pictures of these bags. You can also learn more at the Bags by Mags website, the Bags by Mags Facebook page and the Bags by Mags Twitter.